A global leader in conveyor belt cleaning technologies has introduced a new design specifically for applications where space for installation is limited. The new SQC2STM RM (Reduced Mini) Cleaner from Martin Engineering is a compact secondary belt cleaner that allows installation in close quarters, built with a narrow profile that resists material build-up. Patented rubber buffers maintain cleaning pressure on the new design, engineered to deflect and allow splices to pass without damage to the belt or cleaner, even on reversing belts. The rugged construction incorporates individually-cushioned stainless steel blades with tungsten carbide tips for effective cleaning with negligible risk to belt, splice or blade, and it can withstand even punishing operating conditions, including corrosive environments, high-speed belts and high-tonnage loads. Like the other designs in the SQC2 product line, blade removal and replacement is a simple operation by removing the lock pin from the main support assembly and sliding out the cartridge. 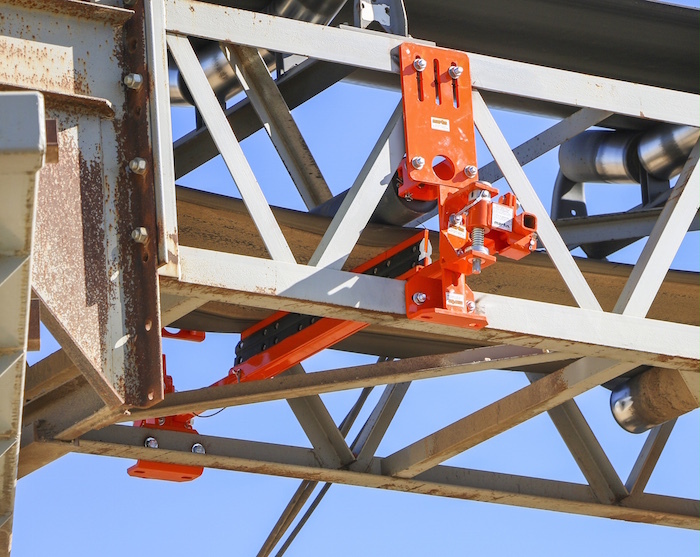 The lock pins are a key component to Martin Engineering’s “no-reach design,” which allows workers to conduct their lockout / tag-out procedure more safely. The unit is one of Martin Engineering’s Safety First™ family of products, helping customers achieve OSHA compliance. (-34°C and 149°C). The design features all steel powder coated construction, (except for the rubber buffer), with . A dust-tight door to cover the opening for the mainframe has also been designed to fit the reduced component size, for a clean, efficient installation. The tensioners allow simple adjustment of blade-to-belt pressure to maintain cleaning efficiency, regardless of blade wear. The SQC2S RM is expected to find utility in applications where installation space is at a premium, including biomass, recycling, waste-to-energy, trash sorting, foundries and steel production. Martin Engineering is a global innovator in the bulk material handling industry, developing new solutions to common problems and participating in industry organizations to improve safety and productivity. The company’s series of Foundations reference books is an internationally-recognized resource for safety, maintenance and operations training -- with more than 20,000 print copies in circulation around the world. The entire 500+ page volumes can also be downloaded as free PDFs from the Martin web site. 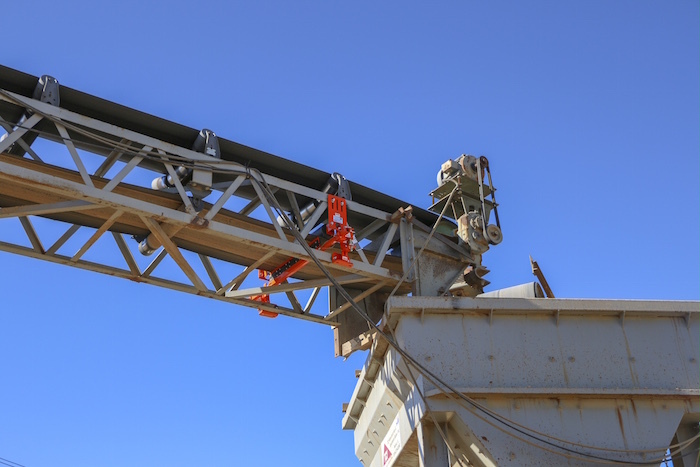 Martin employees take an active part in ASME, SME, VDI, CMA and CEMA, and the firm played a pivotal role in writing and producing the 7th edition of the CEMA reference book, Belt Conveyors for Bulk Materials. Martin Engineering products, sales, service and training are available from factory-owned business units in Australia, Brazil, China, Columbia, France, Germany, India, Indonesia, Italy, Mexico, Peru, Russia, Spain, South Africa, Turkey and the UK.